Dr. Mark Benfield, LSU Department of Oceanography & Coastal Sciences professor, is researching micro-plastics in the Mississippi River, a project supported by Louisiana Sea Grant. Louisiana Sea Grant, housed at LSU, dives into the most challenging ecological, economic and social issues facing the southern coast—and gives communities the power to adapt to and rise above them. Its establishment at LSU is credited to the vision and efforts of the late Jack Van Lopik (1929-2015), and his generous estate gift will continue his legacy as a key player in Louisiana Sea Grant's mission and a pioneer in coastal research. For more than 50 years, the National Sea Grant College Program has empowered universities across the U.S. to enhance research, extension and education of coastal science and policy. 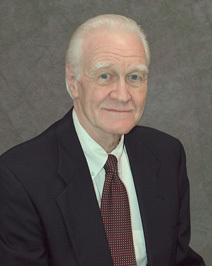 Van Lopik (Science, '53 and '55) launched the project stage of the program in 1968, secured official Sea Grant College status and ultimately became the longest serving state Sea Grant Director in the national network. He was instrumental in establishing the Louisiana Sea Grant John P. Laborde Endowed Chair for Sea Grant Research and Technology Transfer. "Positioned in an area that is vulnerable to severe storms and frequent flooding, Louisiana's coastal communities continue to face challenges to their infrastructure, critical coastal habitats and food security," said Dr. Jonathan Pennock, director of the National Sea Grant Office. 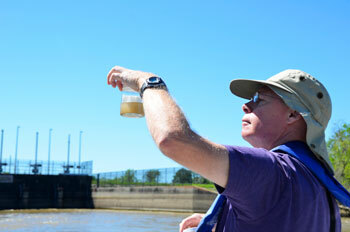 "Louisiana Sea Grant is a leader in the National Sea Grant College network in addressing these issues. Its partnership with LSU allows them to better support communities by providing direct connections to a top tier research university well-equipped to address the current and future concerns of coastal communities." At any given time, Louisiana Sea Grant manages or participates in more than 50 research, extension, education and communication projects. The program maintains strong collaboration with colleges across LSU's flagship campus and with 14 academic institutions and 19 coastal zone parishes. Executive Director Robert Twilley believes the program's place in history is documenting wetlands loss and coastal restoration, particularly through studying the Atchafalaya River's delta. Another major contribution lies in fisheries. "Louisiana Sea Grant built the state's oyster farming industry. We have the most advanced oyster hatchery in the Gulf Coast, with the largest production of oyster larvae, which we give to the state to help seed the oyster public grounds. Now Mississippi, Alabama and Florida are developing their technology based on what we did," Twilley shared. "Then there are all of the seafood products that have been developed because of our research. It's great that we can think of our impact by what people eat." 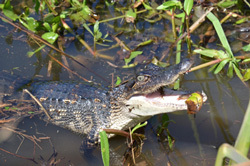 A juvenile alligator released into the wild by Louisiana Sea Grant and LSU AgCenter extension agent Mark Shirley. When Katrina and Rita hit in 2005, the role of Louisiana Sea Grant evolved to something more personal: community resilience. Now the program is equipped to prevent and reduce losses from hurricanes by offering support and guidance, from flood-resistant housing to insurability, and providing crisis management after a natural disaster hits. For Twilley, the next step is strengthening efforts to distribute research-based knowledge and technologies to agents and citizens. "When there's a problem, good universities find solutions. That's the way research universities bring value to their states," Twilley said. "If we can't find the language that people will connect with and respond to, then our discoveries are as if we never discovered them at all. We're very effective because we get those discoveries, find the way to communicate them and turn them into solutions in the communities." The National Sea Grant College Program was established by Congress and is administered by the National Sea Grant Office, a program within the National Oceanic and Atmospheric Administration. The program, in partnership with universities and their donors, funds graduate education through grants and fellowships to enhance the practical use and conservation of coastal, marine and Great Lakes resources for a sustainable economy and environment. The establishment of Louisiana Sea Grant at LSU is credited to the vision and efforts of the late Jack Van Lopik (1929-2015). Van Lopik (Science, '53 and '55) launched the project stage of the program in 1968, secured official Sea Grant College status and ultimately became the longest serving state Sea Grant Director in the national network. He was instrumental in establishing the Louisiana Sea Grant John P. Laborde Endowed Chair for Sea Grant Research and Technology Transfer, and his generous estate gift will continue his legacy as a key player in Louisiana Sea Grant's mission and a pioneer in coastal research. You, too, can help ensure that Louisiana Sea Grant at LSU continues to use research and technology to strengthen coastal communities. Consider leaving a planned gift to the LSU Foundation. Contact Julie Bolton Falgout, PhD, at 225-578-5846 or jfalgout@lsufoundation.org for more information. We can examine your particular situation and, together with your attorney and/or financial advisors, help you find ways to support LSU while ensuring your family’s financial security.